Club Vass Active Holidays, Club Vass Holidays and Club Vassiliki Holidays are all trading names of Club Vass Active Holidays Limited, a UK registered company licensed by the Civil Aviation Authority under A.T.O.L. No. 10311. All bookings, whether for inclusive holidays or other holiday services, accepted by Club Vass Active Holidays Limited trading as Club Vass Active Holidays, Club Vass Holidays or Club Vassiliki Holidays (hereinafter called ‘Club Vass’) from the person making the booking on behalf of all persons named in the party (hereinafter called ‘the Client’) are subject to these terms and conditions. All inclusive holidays and other holiday services, however advertised, whether through our brochures, websites or otherwise, are subject to availability. Clients should contact our offices (telephone or email) to ascertain availability. At the time of booking the appropriate deposit/full balance must be paid (advised at the time of booking). Any booking between Club Vass and the Client is valid, and a contract made between both parties, only after the appropriate deposit/full balance is paid and the booking confirmed in writing in the form of a Confirmation/Invoice, by Club Vass to the Client. This Confirmation/Invoice then acts as the contract between Club Vass and the Client and the applicable contract date will be the date it was raised by Club Vass (not the date of receipt by the Client). The Confirmation/Invoice will normally be emailed to the Client. Bookings can be secured immediately by telephone, providing the Client can give details of a valid credit/debit card from which we can deduct appropriate remittances. Bookings made by telephone will require full details of all party members to be given by the Client at the time. If the Client wishes to make a booking by sending a cheque in payment, or making a payment via internet banking, a provisional booking can usually be made by telephone where we hold the holiday or holiday service for the Client for several days to allow time for a cheque for the appropriate amount of deposit/full balance to be received at our offices, or payment to be received direct into our bank account. We will then issue a Confirmation/Invoice and send this to the Client. Whichever way a Client may make a booking, it is deemed that, in providing details of the party to us and providing a method of paying the appropriate remittance due, then the Client accepts these Booking Terms & Conditions as applying to the booking and will be bound by the terms herein. The balance of the holiday or holiday service cost shown on the Confirmation/Invoice must be paid in full not later than 9 weeks before the date of departure. If the booking is made 9 weeks or less before the departure date the full amount of the cost of the holiday or holiday service is due immediately. Please note that where deposit/full/balance payments are made by any type of debit or credit card a charge will be levied towards the cost of merchant processing costs incurred by us. As Club Vass does not have its own merchant facilities for card payment processing, payments by card have to be processed via a Member of the Travel Trust Association. Any monies taken by them, in respect of Club Vass holiday bookings, through debit/credit card payments is held in trust until they are paid to Club Vass. An upfront non-refundable booking fee is applied by the Travel Trust Agent to all payments taken by this method for their services in providing this facility. The holiday booking is made with the Member of the Travel Trust Association acting as agent on behalf of the Client in booking the Club Vass holiday. Such a fee would not apply to payments by cheque or cash or direct payment into our bank account within the UK and in these instances the booking is made direct with Club Vass. If the balance is not received 9 weeks before departure, then Club Vass reserves the right to treat the booking as cancelled and levy cancellation charges as detailed in paragraph 6. Where Club Vass purchases, on behalf of the Client, flight seats on routes/days not normally operated by Club Vass or from airlines where larger than usual deposits and/or extended balance payment dates are required, it reserves the right to request the client to pay a larger deposit and/or pay the balance earlier than 9 weeks prior to departure, in order to secure those seats for the Client. Where applicable this will be advised to the Client before making the booking. If the Client wants to change the booking once it has been confirmed, for example, amend the date of departure, holiday duration, airport of departure and/or destination, accommodation or names of those travelling in the Client’s party, Club Vass will do its utmost to assist. We charge an amendment fee of £25 per booking (minimum) if the amendment is accepted, unless the amendment is very minor (normally additions to bookings incur no amendment fee), but any such fee will be related to the costs involved to Club Vass and depend on the length of time of advice before departure. Any amendment must firstly be advised by telephone to Club Vass, at which time any amendment fee will be advised to the Client, who must agree to accept the fee and confirm this in writing before the amendment will be made. Where an amendment affects the holiday or service price, the price of the holiday or service will be recalculated, including any amendment fee, and a new Confirmation/Invoice issued. Where the Client wishes to amend the booking to a later departure date, if notice is given within 9 weeks of the original departure date, this will normally be treated as a cancellation and subject to the cancellation charges as detailed in paragraph 6 below. The cancellation of one or more persons from a booking, but not the total persons is treated as a part cancellation and cancellation charges will apply to those persons being cancelled. Any increase in the price per person for the remaining persons in the booking, payable as a result of part cancellation, is not a cancellation charge and not generally covered by holiday insurance, whether or not, the reason for the persons who did cancel from the original booking is covered under the terms of insurance. Clients must also note that where substitution of persons on a booking is accepted, with or without amendment fee, insurance cover is usually not transferable and the substitute persons must take insurance cover for themselves. In Resort – where Clients wish to change their holiday details after arrival e.g. changing accommodation, we will do our utmost to assist, subject to availability and payment of appropriate additional costs. Please note that for changes of accommodation, cancellation charges may be incurred against the original accommodation as well as additional charges payable for the new accommodation. Please also note that cancellation from watersports activities booked prior to arrival is not allowed and NO refunds will be given for non-participation in such watersports activities, whether due to illness, injury or any other reason. Clients may be able to claim for loss of participation in the watersports from their holiday insurance if the reason falls within the terms of that insurance. All holiday flights, accommodation and other holiday services booked are reserved exclusively for the persons named by the Client and shown on our Confirmation/Invoice, including those substituted or added by agreed amendment of the booking. No other person may use these flights, accommodation or other services without the written permission of Club Vass or it’s authorised representatives. Assignment, subletting and sharing are prohibited and in many circumstances may be illegal. As a condition of booking all persons named on the Confirmation/Invoice, including those substituted or added by agreed amendment of the booking, must take out a suitable holiday insurance – in particular providing cover for injury to themselves, whilst participating in the various sports and activities we offer. It is recommended that holiday insurance is taken out at the time of booking the holiday so that cover for cancellation runs concurrently with the holiday booking. 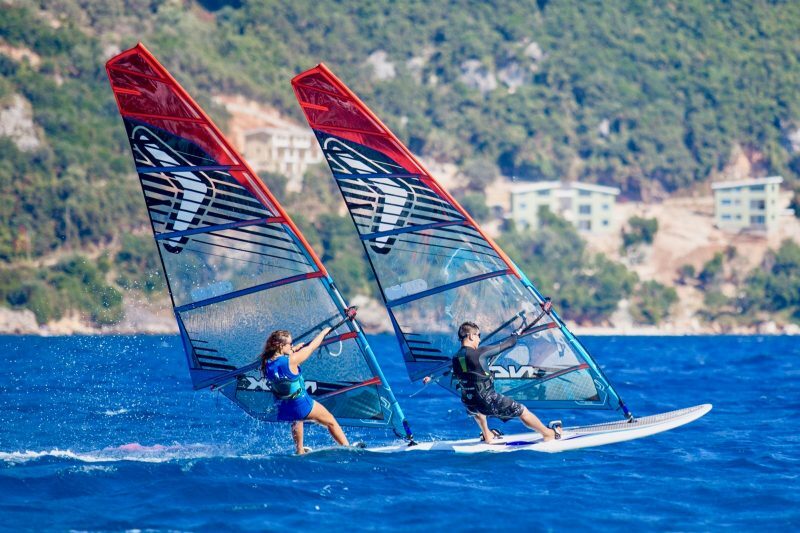 Damage to windsurfing equipment – In the event of accidental damage/loss by Clients to our windsurfing equipment our marine insurance provides covers for this which is included in the Client holiday price. This also includes 3rd party liability in case of injury to other persons whilst windsurfing. Any negligent or willful damage/loss will be charged in full locally direct to the Client responsible (or parent/guardian if a minor). A valid passport is essential when travelling abroad. A full passport is required to all destinations. Holders of non-British Passports should check with the consulate of the country being visited for details of regulations before booking. Visas are not normally required by British Passport holders to Club Vass’ holiday destinations (where required we will advise on booking). Normally, a full and valid British driving licence is adequate for car hire in our holiday destinations. At the time of publication no compulsory vaccinations are required for British Citizens visiting our holiday destinations. Clients (in particular, non-British citizens) should always check with their doctor as to which inoculations are advisable or necessary before travel. Equally, persons with health problems who feel that their condition may be aggravated, or their health suffer, as a result of travelling, should consult their doctor first and if necessary obtain a medical certificate to confirm they are fit to travel, in order to satisfy airlines or insurance companies if required to do so. Pregnant women especially should seek the advice of their doctor. Airline regulations only permit travel for women up to a certain number of weeks pregnancy, dependent upon the airline concerned. Please advise us prior to booking and we will check with the relevant airline. Your Health & Sporting Activity – Club Vass considers the health and safety of its clients to be of paramount importance. In order to assist us in assessing the fitness of all clients to participate in the watersports we offer it is a condition of booking that the Client advises us of any pre-existing medical or other condition, or other circumstances (such as taking medication) applicable to members of the Client’s party, that may affect our decision to accept the booking on grounds of safety. We ask all Clients to advise us both at the time of booking and on arrival overseas (in case of subsequent events after booking) of such factors. The existence of a pre- existing medical or other condition does not mean we will not accept a booking (although we reserve the right in our absolute discretion to refuse a booking where we consider the safety of the Client who would be jeopardized) but it gives us the opportunity to consider additional safety precautions in relevant cases. Failure to advise of such may result in our refusal to allow participation in the sporting activities once in resort and under such circumstances no refund of monies will be given. All Clients are responsible for the provision of necessary valid documents for their own travel abroad and own health requirements. Watersports – Our team of experienced watersports’ staff organize and limit the watersport activities we offer according to weather conditions and the Client’s ability and experience (and we reserve the right in our absolute discretion to refuse any Client’s request to use the equipment at times or during conditions where our staff consider the safety of the Client would be jeopardized). Our supervision does not omit any Clients from their responsibility of rigging and inspecting equipment before use, and limiting their own risk of accident and injury whilst using the equipment. We therefore accept watersports bookings on condition that each member of a Client’s party accepts responsibility for any injuries suffered unless these arise from our proven negligence. This condition equally applies to the use of safety equipment, such as buoyancy aids, which we recommend should be worn at all times on/in the water. It is a condition of booking that all Clients wishing to participate in watersports can swim at least 50 metres clothed. General behaviour – When travelling abroad all persons should be aware that they are visiting another country whose customs and laws may differ from ours. Equally they should be aware of their responsibility to others, whether holidaymakers or locals, and accordingly behave in a reasonable manner. Club Vass reserves the right in its absolute discretion to decline to accept or retain a person as a client or terminate without further notice to the holiday arrangements of any customer whose behaviour is such that it is likely, in our opinion, or that of an airline pilot, accommodation owner or manager, or other person in authority, to cause distress, damage, danger or annoyance to other customers, employees, any third party or property. Under such circumstances if a person is prevented from travelling, or their holiday or holiday service curtailed, Club Vass’s responsibility for the holiday or service ceases. Full cancellation charges will apply and Club Vass will be under no obligation whatsoever for any refund, compensation or costs such persons may incur. Any damages to accommodation caused by negligence of the Client or members of his/her party or their guests and any stay beyond the stated time or by additional persons whose permission has not been granted by Club Vass, will be charged to the Client, in resort, by the representative or agent of Club Vass. Equally willful or negligent damage to our watersports equipment will also be charged to the Client locally. Failure to pay any such charges may result in legal action against the Client. As arrangements for holidays, or separate components such as flights or accommodation, are made by us many months in advance of the relevant holiday season, some changes may be necessary and we reserve the right to make these at any time. Minor changes – Most changes are minor in nature, such as changes to departure times. Flight details will be advised on the Confirmation/Invoice. These are normally for guidance only. Club Vass reserves the right to amend any flight details or substitute any airline or aircraft as necessary at any time, subject to the provision that it will not change the timings by more than 12 hours (see major changes). Final flight details will be given on your travel documents. Similarly, in the unlikely event that Club Vass is unable to provide the accommodation as booked, we reserve the right to substitute alternative accommodation of a similar or higher standard. Where accommodation is not officially classified, similar standard accommodation will be deemed to be that which is the same price as the substituted accommodation, provided it is in the same resort and has the same facilities e.g. number of bedrooms. Where significant we will advise our customers of minor changes, either before they book or after booking, given Club Vass has itself received reasonable notification of the changes. Flight timings changes are not normally advised and clients should check their travel documents on receipt. Under such circumstances cancellation of the holiday by the Client would be subject to normal cancellation charges. Major Changes – These are changes involving a change of UK airports, resort area, time of departure or return by more than 12 hours (but NOT for reason of flight delays incurred to the scheduled time of departure as given on travel documents) or offering substitute accommodation of lower standard (see ‘Minor Changes’ for definition of ‘similar standard’). If a major change becomes necessary, we will inform the Client as soon as is reasonably possible if there is time before departure and offer the choice of accepting the alternative arrangements together with any refund of cost difference or cancelling the booking and receiving a prompt and full refund of all monies paid at the time of cancellation. If the Client wishes to cancel from our holiday or services in the event of a major changes described above, and has booked other holiday services not provided by Club Vass, then Club Vass will only be liable for a refund of any monies paid to us and will not be liable for any other costs that the Client may incur in relation to the amendment or cancellation of those holiday services not provided by Club Vass. Club Vass cannot accept liability for losses and inconvenience arising out of disruption to local services such as electricity and water supplies caused by actions or circumstances beyond its control. Cancellation by Club Vass may be necessary in exceptional circumstances and we reserve the right in our absolute discretion to cancel any inclusive holiday or other holiday services. In this event the Client will be offered an alternative of comparable standard, if available, or a prompt and full refund of all monies paid to date. FORCE MAJEURE Club Vass shall not be liable for any loss, damage or expense and shall not be obliged to make any refund, in the event of change or cancellation caused by force majeure circumstances including (without limitation) war or threat of war, riots, terrorist activity, civil unrest, strikes or other industrial action, natural or nuclear disasters, fire, technical problems with transportation, airport closures, quarantine, epidemics, adverse weather conditions (actual or threatened), Government action, Foreign Office advice against travel to our destinations or other events beyond our control. Our third party suppliers have their own booking conditions and conditions of carriage, and you will be bound by these, so far as the relevant supplier is concerned. Our suppliers’ conditions will also apply to your contract with us, and in the event of any conflict between the suppliers’ conditions and our conditions, the suppliers’ conditions will prevail, save to the extent that any term in the suppliers’ conditions is deemed to be invalid or unenforceable, in which event our conditions will prevail. Some of our suppliers’ conditions may limit or exclude liability on the part of the relevant supplier, and, by virtue of their application to your contract with us may also limit or exclude our liability to you They are often subject to international conventions, such as a treaty known as the Warsaw Convention in respect of airline flights. Copies of the Conditions applicable to a particular holiday journey may be made available for inspection at the office of the carrier. (a) Flight times are provided by airlines and are subject to change owing to matters such as air traffic control restrictions, weather conditions and technical problems. Flight timings are therefore estimates only and cannot be guaranteed. As between you and any individual airlines, the airline’s standard conditions of carriage will apply. These may limit or exclude liability in accordance with relevant international Conventions. Copies of these Conventions are available on request. also be available from airlines. If the airline does not comply with these rules you should complain to the Civil Aviation Authority at www.caa.co.uk/passengerrights. We have no liability to you in these circumstances whatsoever and your claim for this assistance and any compensation must be made directly to the airline. Liability of an airline under EU 261/2004 will not entitle you to a refund of your holiday price from us (c) We cannot accept liability for any delay which is due to any of the force majeure reasons set out in clause 12 of these booking conditions (which includes the behaviour of any passenger(s) or for any passenger who, for example, fails to check in or board on time). A delay or cancellation to your flight does not automatically entitle you to cancel any other arrangements even where those arrangements have been made in conjunction with your flight. However, you may be entitled to claim under the flight delay section of your travel insurance policy. (d) We have no control over how much leg room (seat pitch) airlines allow on their aircraft. No guarantee can be given as to a particular seat configuration on board as aircraft types vary. However, these seat pitches are standard throughout the airline industry and comply with current Civil Aviation Authority guidelines. Club Vass have taken all reasonable steps to ensure that all the component parts of any inclusive holidays or other holiday services our customers book with us are supplied as described and to a reasonable standard. We have taken all reasonable steps to ensure that any airlines, agents, suppliers or other companies or persons used by Club Vass to provide service to our customers are reputable, maintain reasonable standards and conform with the laws of the country in which they are operating. (1) We will accept responsibility for the arrangements we agree to provide or arrange for you as an “organiser” under the Package Travel, Package Holidays and Package Tours Regulations 1992 as set out below. Subject to these booking conditions, if we or our suppliers negligently perform or arrange the services which we are obliged to provide for you under our contract with you, as set out on your confirmation invoice, we will pay you reasonable compensation. The level of such compensation will be calculated taking into consideration all relevant factors and following the complaints procedure as described in these conditions and the extent to which ours or our employees’ or suppliers’ negligence affected the overall enjoyment of your holiday. Please note that it is your responsibility to show that we or our supplier(s) have been negligent if you wish to make a claim against us. to cover any losses of this kind. (b) Claims not falling under (a) above and which don’t involve injury, illness or death The maximum amount we will have to pay you in respect of these claims is twice the price paid by or on behalf of the person(s) affected in total. This maximum amount will only be payable where everything has gone wrong and you or your party has not received any benefit at all from your booking. (i) The extent of our liability will in all cases be limited as if we were carriers under the appropriate Conventions, which include The Warsaw/Montreal Convention (international travel by air); The Athens Convention (with respect to sea travel); The Berne/Cotif Convention (with respect to rail travel) and The Paris Convention (with respect to hotel arrangements). You can ask for copies of these Conventions from our offices. Please contact us. In addition, you agree that the operating carrier or transport company’s own ‘Conditions of Carriage’ will apply to you on that journey. When arranging transportation for you, we rely on the terms and conditions contained within these international conventions and those ‘Conditions of Carriage’. You acknowledge that all of the terms and conditions contained in those ‘Conditions of Carriage’ form part of your contract with us, as well as with the transport company and that those ‘Conditions of Carriage’ shall be deemed to be included by reference into this contract. (7) We will not accept responsibility for services or facilities which do not form part of our agreement or where they are not advertised in our brochure/website (as applicable). For example any excursion you book whilst away, or any service or facility which any other supplier agrees to provide for you. In the unlikely event that the Client wishes to complain about any aspect of the service provided by Club Vass, or problems arise whilst on holiday, the Client should contact our representative in resort, as soon as possible, in order to try and resolve the matter on the spot. If contact cannot be made with this person then the Client should contact our UK office from resort and we will make contact with them on behalf of the Client. If the matter cannot be resolved satisfactorily then the Client should make an immediate complaint in writing to the representative. This should be followed up on return home, in writing, to our offices, giving details of the holiday or service and the nature of the complaint, within 28 days of return to the UK. will receive an ATOL Certificate. This certificate alongside your Confirmation/Invoice lists what is financially protected, where you can get information on what this means for you and who to contact if things go wrong. your credit card issuer where applicable). You also agree that any such claims maybe re-assigned to another body, if that other body has paid sums you have claimed under the ATOL scheme. For further information, visit the ATOL website at www.atol.org.uk. We have measures in place to protect personal booking Information. This information will only be passed on to the principal and relevant suppliers of your travel arrangements. The information may also be provided to public authorities such as customs or immigration if required by them, or as required by law. Certain information (as necessary) may also be passed on to security or credit checking companies. Registered Office: Grenville House, 4 Grenville Avenue, Broxbourne, Herts. EN10 7DH, England.